Utah, also known as the Beehive State, is 13th largest and 34th most populated state of US nation. It has high median household income and was the 45th state to be approved as a part of US constitution in 1896. 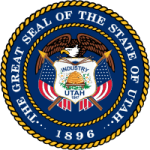 Utah registers fastest population growth rate in whole nation and its economy thrives on various industries and sectors such as IT, transportation, mining and Government Services. Cattle ranching and Salt production are also major revenue producers in Utah. Major changes have been made since 2008 and a 5% tax has now been levied on income of various professionals and servicemen. Utah has various nationally accredited and acknowledged education organizations and universities. What is Utah Board of Nursing and what are its responsibilities? Utah Board of Nursing is a state agency under the Division of Occupational and Professional licensing in Utah State. It has various responsibilities and is regulation authority over various nursing programs and professional in Utah counties. The Board is responsible for discovering and implementing new research theories for promoting the health care services in state. The Board assists the nursing professional in apprehending and executing safe nursing practice to safeguard public health and welfare issues. Clearing the vague picture of board’s mission and making the residents aware of importance of nursing standardization are also crucial parts of board’s responsibilities. Licensing/certification of various nursing professionals and approval/denial of nursing programs are also in hands of Nursing Board. Board decisions are not individual judgments, but are thoroughly discussed outcomes of board meetings. Board has to follow various laws and policies. Which are the various nursing laws that must be followed by Utah State Board of Nursing? Utah State Board of Nursing is a state agency formed under the State Legislative Assembly rules for ensuring safe nursing practice in Utah. It has to follow various rules and regulations, which are mentioned in various licensing laws and policies in Utah Legislation.